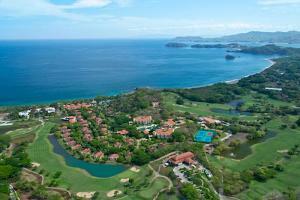 Nestled in the green forests of Costa Rica's magnificent North-Pacific Riviera, the Westin Resort, Playa Conchal spreads its 2,400 lush acres in an enchanted land where challenging golf meets thrilling eco-adventure. Explore the history and incredible beauty of this region in the many National Parks located near the resort. 60km from the nearest international airport. Mitra - breakfast and dinner buffet; Spices - Asian fusion; Faisanela - Northern Italian cuisine; Agave Azul - Mexican Restaurant; Hoyo 19 - American selections; Spirula Snack Shack - snacks and light meals. National Park Playa Grande, National Park Santa Rosa, National Park Barra Honda, National Park Palo Verde, National Park Monteverde, Volcano Rincón de la Vieja, Arenal Lake.